Mohamed Waheed Ibrahim (Waddey), Parliament Member for Thulusdhoo constituency who submitted the Amendment Bill to the Audit Act to the parliament, has said that there is no Auditor General in the Maldives at the moment, after President Abdulla Yameen Abdul Gayoom ratified the amendment bill today. In an interview given to Sun Online this evening, Waddey said that according to the constitution being implemented now, an Auditor General can only be appointed as stated in the constitution. Waddey added that up until the president ratified that bill, Niyaz Ibrahim who was in Auditor General post, was appointed under the previous Act and that was an Act stated in the previous constitution and because president has ratified the bill today, the Audit Act has been changed under the present constitution. Explaining the amendment made to the Act, Waddey said that the new audit act under the constitution states that after ratification of the bill by the president, a name for Auditor General post must be sent to the parliament by the president within 30 days, therefore Niyaz also has to apply to the post when announced by the President’s Office. “So the legal obligations and responsibilities of the present Auditor General will stop. And if he is willing to go ahead, he also has to apply to the post just like others. An Auditor General will be appointed under this constitution after the parliament approves the name sent by the president,” said Waddey. 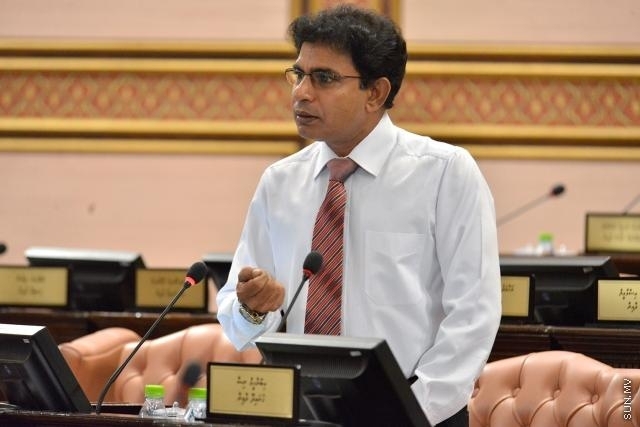 When Ahmed Thoriq, Parliament Member for Mahibadhoo constituency proposed this amendment to the bill submitted by Waddey, members of the opposition party, Maldivian Democratic Party (MDP), said that the amendment contradicts the constitution.